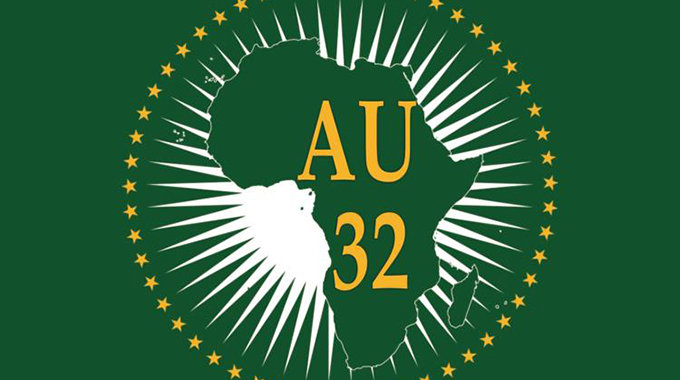 Far more critical than this year’s AU’s theme was Zimbabwe’s quest to consolidate African support in the wake of disruptive events of January 14 to 16. It is now a truism that the mid-January deadly unrest by the opposition and its NGO affiliates aimed at derailing President Mnangagwa-led efforts at re-integrating Zimbabwe back into the international fold for her economic recovery and growth. Both the EU’s routine, yearly review of illegal sanctions set for February, and America’s preparatory contacts with the African continent for a possible America-Africa Summit, made the mid-January unrest well-timed for maximum damage, particularly in respect of the Second Republic’s post-July 30 engagement and re-engagement efforts. Four key factors however worked in Zimbabwe’s favour, or conversely, worked against the opposition. 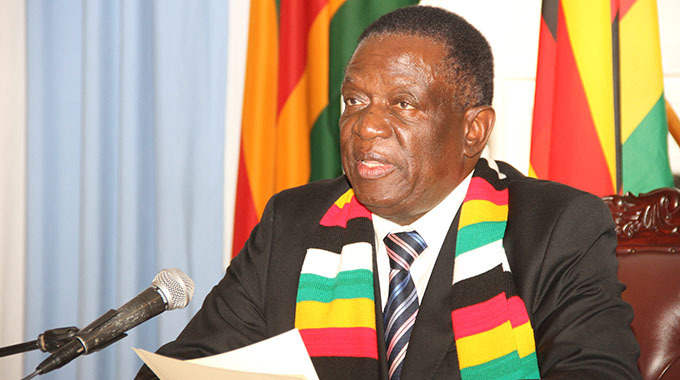 Firstly, Government decision to make the July 30 harmonised elections an open book, multinational affair amounted to a major break with Zimbabwe’s chequered electoral history. This decision today allows fair-minded observers across the globe to see through the opposition charge founded on claims that the polls had been unfree, unfair and rigged. Significantly, even the pro-MDC Alliance US administration has no legitimacy issues against President ED Mnangagwa and his ZANU-PF Government. As disclosed by a senior official of the administration at the just-ended AU Summit, the US government long told Chamisa and his melange political outfit that they stand better served by trimming themselves into filling and playing an effective role as a loyal and law-abiding official opposition than by intransigently questioning the legitimacy of the new order. The same view holds firm in European capitals, even though the Western world still wants to see the opposition generously nursed for what it envisions as a strong and enduring multiparty or plural democracy in which the dominant ZANU-PF is effectively checked and balanced in Zimbabwean politics. This faulty view has often translated into an over-indulgent acceptance of opposition lawlessness and hooliganism. The African view is even stronger, with all countries in SADC, more so those set to hold elections this year, dead set against the likely “contagion effect” in the region of the Zimbabwean opposition’s pre-poll and post-poll destabilisation antics. It thus is no wonder that it has not been very difficult for Zimbabwe, through its well-calibrated, special envoy-led diplomacy, to neutralise the opposition subterfuges both before and after the mid-January mayhem. So bad and damaging has been this violent campaign to the opposition that key capitals in SADC have outrightly refused to listen to their story. Secondly, the speed and one-sidedness with which Western governments exonerated acts of wanton violence and looting by the opposition, all set against intemperately censorious assessment of Government’s efforts at restoring law and order in the country, have harkened to the West’s regime-change reflexes during the Mugabe presidency. The Southern African region and African continent thus read the West’s continued anti-Zimbabwe campaign in the present, and even after the New Dispensation has demonstrated its bona fides through opening the political playing field, and by running credible polls. Comments from Western officials, echoed by American think-tanks, against land reforms validate this broadly held view and fear. Thirdly, the bold economic policy reforms done by the new Zimbabwean Government, and showing by way of significant recovery and promising growth since November 2017, raised into sharper relief the whole issue of punitive Western sanctions against Zimbabwe as the real elephant in the Zimbabwean room. Here was a country making determined steps up and ahead, after nearly two decades of battering now facing renewed onslaught, with ominous consequences for the whole region. To many in the region, this suggested a spiteful throwback which could not be countenanced. Above all, it proved to many that external economic aggression, rather than the often glibly repeated democracy-deficit, was the real source of instability in Zimbabwe. Fourthly, electoral events in the Democratic Republic of Congo, echoed by blatant unilateralism in geographically far-away but experientially very close Venezuela, raised grave fears on the African continent and in the rest of the progressive world, on what new and unilateral global ethic the West is trying to commission in furtherance of its geo-strategic interests across the world, and especially in resource-rich Africa, the Middle East and Latin America. The frightening example in Venezuela where the West seeks to enthrone a sympathetic opposition leader without elections, and even through threats of war, suggested the return of aggressive global unilateralism in inter-state relations sure to imperil smaller states. Both the US with its so-called New Africa policy, and Br-exiting United Kingdom with its Global United Kingdom philosophy announced only a few days ago, have unnerved Africa and many nations of the world. Founded on the desire to checkmate the ever-growing Sino-Russian influence on the African continent in particular, and in global affairs, the new, reactive policies by the US and UK are abrasively self-centred and highly intrusive. As was shown in DRC, and is now being shown in Venezuela, these policies seek to weaponise the opposition and ballot politics to occasion intrusive challenges to sovereignties of targeted states. From Addis, Zimbabwe emerges accompanied by a SADC and an Africa with a renewed and refreshed commitment to support her cause for economic recovery, and her fight for the removal of debilitating sanctions. It is heartening that leading African states, both singly and collectively, have reconfirmed their commitment to stand with Zimbabwe by speaking against illegal sanctions targeting Zimbabwe. Even the development agencies of the United Nations and the European Union have signalled renewed commitment to enhance Zimbabwe’s nascent recovery efforts which they acknowledge stand imperiled by sanctions. Africa, through its development agencies and financial institutions like Trade and Development Bank, has pledged no less, with Ethiopia, itself founder and host to the continental body, verbalising both bilateral and corporate support for Zimbabwe. Apart from a possible game-changing partnership between Air Zimbabwe and the highly reputable Ethiopian National Airlines sure to improve Zimbabwe’s tourism, Zimbabwe stands to gain immeasurably from Ethiopia’s experience in developing textile-driven industrial parks in the Bole Lem area just outside Addis. Overall, the momentous diplomatic gains made both within SADC and at the AU, coupled with the now launched broad-based National Dialogue at home, should see Zimbabwe making bolder strides with her engagement and re-engagement efforts, and of course in securing key inputs towards economic recovery and growth. Just as well, President Mnangagwa dedicated a whole day to handling bilateral issues ahead of the AU Summit.